We kindly invite you to join our organised tour to the National Library of Russia. 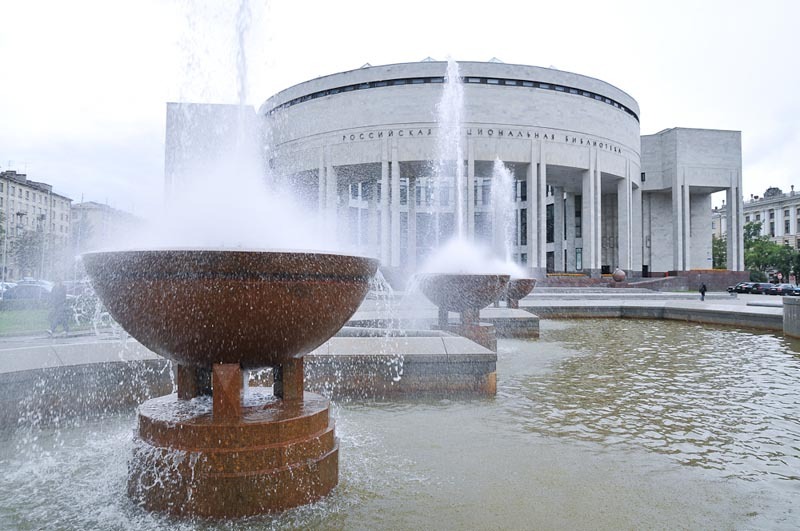 Library tours through the new National Library of Russia building will be organized on September 11th (Monday) and start at 18:30. Please go to the registration desk in the New Building of the Library and register. There is no limit for participants. 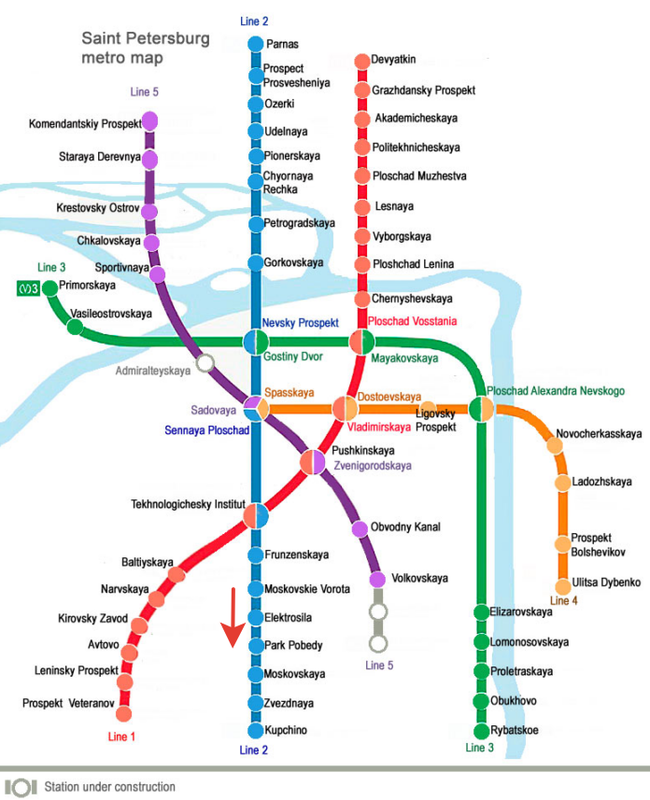 By metro: From the Holiday Inn, take the Metro line 2 (Blue Line) from station Moskovskiye Vorota (Moscow gate) Southbound, direction Kupchino. See the Metro Map. Leave at the second stop called Park Pobedy (Victory park). When leaving the station, cross the avenue (Moskovsky Prospekt) using the pedestrian subway, the building is on the west side of the avenue. 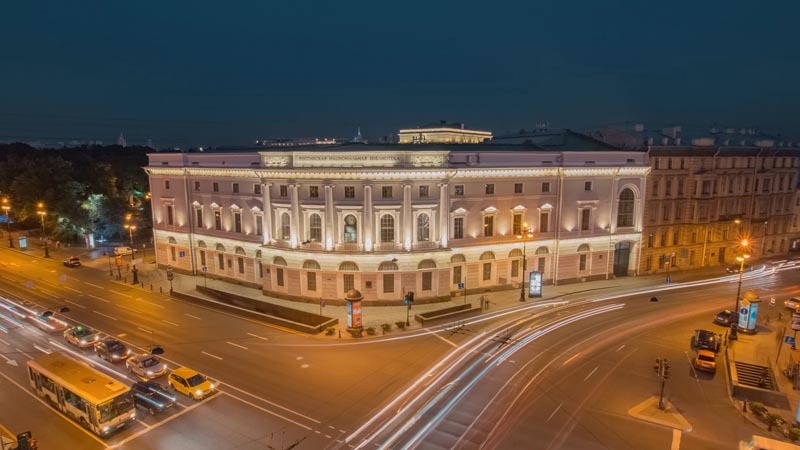 Opening of the first stage of the New Building at 165 Moskovsky prospect became a significant landmarkmin the development of the National Library of Russia. Inauguration of the building took place on April 12, 2003 in the presence of the President of the Russian Federation V.V. Putin. The New Building of the Library designed by V. N. Scherbin and L. K. Varshavskaya is one of the largest modern library buildings in Europe. Its size exceeds 100 000 square meters. Its opening allowed the Library to improve storage conditions and reader service. The New Building on the Moskovsky Prospect includes the current collection and is equipped with uptodate information technologies. It has become the mainsite for providing services for the majority of readers. - to provide this accumulated wealth free-of-charge “for public general use” by anyone who needed it. Nowadays the Library follows these goals to the full extent, as do other great world libraries of the 21th century, by providing access to its rich collections, modern facilities, and a range of current and traditional information sources for users. The Library is a member of many international professional organizations and participates in many important international projects. While continuing the traditions, set by previous generations of its founders, the Library is actively participating in the formation of the new information society. Library tours through the Main Building of the National Library of Russia will be organized on September 12th (Tuesday). Participants need to register, numbers are limited to 30 in total, first register first served! 2 groups for 15 people is planned at 11.00 a.m.
By metro: From the Holiday Inn, take the Metro line 2 (Blue Line) from station Moskovskiye Vorota (Moscow gate) Northbound, direction Parnas. Leave at the fourth stop called Nevskiy Prospekt. Sadovaya Street is just around the corner of the exit. See the Metro Map. The history of the National Library of Russia begins with its foundation on 27 May 1795 and covers a period of just under two hundred years. The Imperial Public Library in St Petersburg was the first state library in Russia. The general tour about the Library includes visits to the Manuscripts Department, the Rare Books Department, Voltaire's Library, premises of the Russian Language Stock and Reading Rooms. Guests of the Library find out how books are stored, learn more about the history and architecture of the Library, about its collections and the most famous curators. During the tour, visitors may take photos in the historical interiors of the Library.